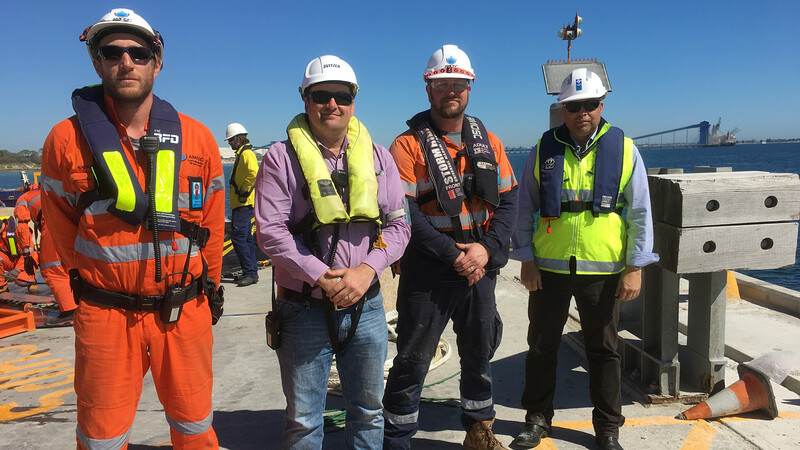 Svitzer crews from Kwinana Lines played an integral role in project Blackstump – a joint industry exercise held to demonstrate the feasibility of using an oil tanker as a storage vessel in a large offshore containment and recovery operation. 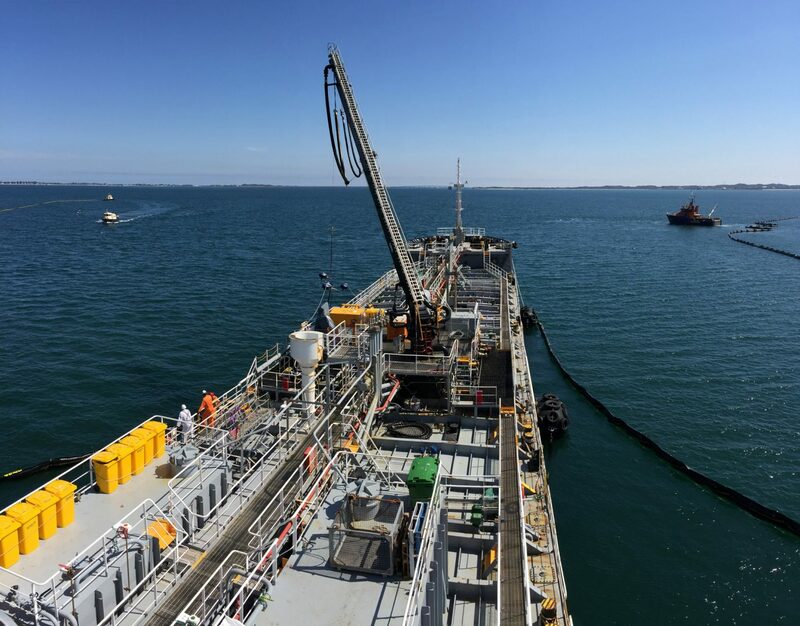 The Svitzer team worked with industry body, the Australian Marine Oil Spill Centre (AMOSC), Teekay Shipping and Fremantle Port Authority to test the concept. AMOSC operates the Australian oil industry’s major oil spill response facilities. It is a not-for-profit company, established in 1991, and is comprised of companies in oil and gas operations including BP, Chevron, Shell, Quadrant Energy, BHP Billiton, Woodside, ExxonMobil, Santos, Caltex, Inpex Browse and Oil Search. AMOSC also provide training and coordination to industry personnel to provide immediate emergency oil spill response. Blackstump was the brain-child of BP Australia Marine General Manager, Brett Whiteoak. The concept — based on a ‘dream’ during the Deepwater Horizon incident in Gulf of Mexico, 2010 – was to deploy two lengths of offshore Ro-Boom oil containment booms to a marine oil spill. The boom lengths would be connected to a tanker in a double J-Sweep formation. Skimmers would be deployed to the sweep pockets to retrieve oil from the marine environment into the tankers storage tanks. This would allow for a rapid response emergency management process to be deployed anywhere within Australian coastal operational areas, including to PNG and NZ. Blackstump was completed under the marine command and control of Svitzer Marine Standards Superintendent, Trent Walkley, and AMOSC General Manager, Nick Quinn, who was stationed on the bridge of the tanker. 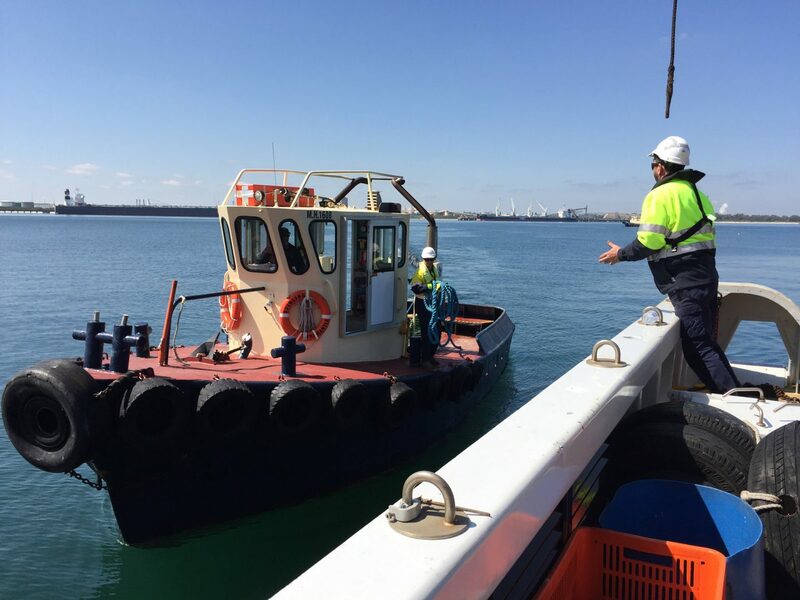 Svitzer crews from Kwinana Lines facilitating line boat and mooring gang works at Kwinana’s BP refinery, together with the Fremantle Port Authority response vessel, assisted with the deployment and towage of the booms, connecting them to the Teekay shipping tanker, Vacamonte. 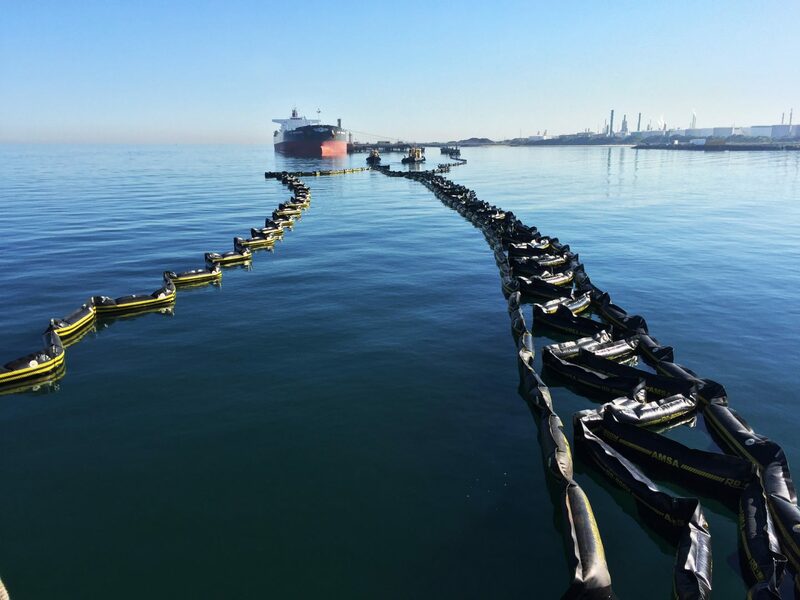 Over a three-day deployment involving towage, connection and demobilisation, Brett Whiteoak’s concept was realised as six vessels manoeuvred the booms into the J-sweeps at 600-metre lengths. Many months of planning meetings, crew consultations and design amendments were conducted between all parties, with the Svitzer marine crews playing a significant role as subject matter experts for the handling and design of the task. Nick Quinn was impressed with the Svitzer team’s knowledge, capability, and professional conduct. Congratulations to Trent Walkley who led the operation on behalf of Svitzer, and to the team involved.